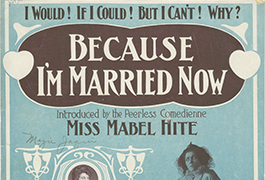 Program for "The Second Man,"
The Mary McCord/Edyth Renshaw Collection on the Performing Arts digital collection includes a sample of materials from this extensive collection, encompassing a diverse cross-section of performing arts and representing the wide-ranging forms of theater, music, dance and film. The collection includes catalogs, clipping files, correspondence, photographs, playbills, posters, programs, scrapbooks, scripts, set designs, and works of art on paper. The McCord/Renshaw Collection originated as the McCord Theatre Museum at Southern Methodist University in 1933 and was first located in Dallas Hall. It was founded by Department of Speech faculty members, including David Russell and Edyth Renshaw, and named in honor of Mary McCord, the first speech professor at SMU. The Little Theatre of Dallas was founded in Dallas in 1920 to provide the city with quality theatre performed by non-professional actors from the community and reflects the many facets and stages of the organization from its inception to its final demise in the late 1950s. 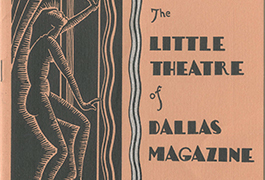 The collection includes artwork, clippings, correspondence, documents, ephemera, programs, published works, scripts and photographs relating to the Little Theatre of Dallas and its participants. Of particular interest are programs featuring cover art by local Dallas artists and architects such as O'Neil Ford, Lynn Ford, David R. Williams, Alexander Hogue, and Jerry Bywaters. The Southern Methodist University Arden Club was the student dramatic group on campus from 1916 to 1969. 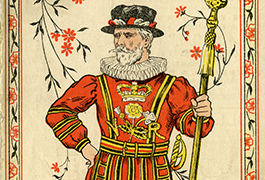 The collection documents the activities of the club from its first production in 1916 and throughout its fifty-three year history and includes artwork, clippings, correspondence, documents, ephemera, manuscripts, posters, programs, props, publicity, published works, scripts, scrapbooks, photographs and club pins. Harriet Bacon MacDonald organized the performances of notable musical acts from around the world including Sousa and Rachmaninoff among many others in Dallas, Texas. MacDonald was also a teacher of classes in the Dunning Music System. 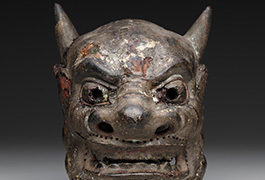 The bulk of the material in this collection was gathered during her time as an impresaria in Dallas, Texas and a teacher of Dunning classes across the United States. 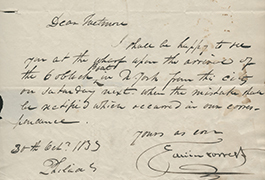 The collection includes correspondence, documents, ephemera, programs, published works, photographs, and a scrapbook. George Joseph Signaigo was a prominent Dallas businessman who co-owned the Brannon-Signaigo Cigar Company of Texas. The majority of the material in this collection consists of theater programs that were collected over the course of Signaigo's life. 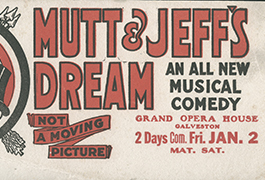 The collection includes correspondence, ephemera, manuscripts, publicity and published works relating to the theater. Most material originates from Dallas, Texas, but there is also material from New York City and other states and cities. Includes various theatre releated items.